We thank Matt Ravosa and Marian Dagosto for inviting us to participate in the Primate Origins Conference, and in this volume. This research was supported by a grant from NSF Physical Anthropology to C.F. Ross (SBR 9706676) and a grant from the L.S.B. Leakey Foundation to C.P. Heesy. Mark Coleman alerted us to important papers documenting the relationship between auditory and visual acuity, and read and provided comments on the manuscript. Allman, J., 1977, Evolution of the visual system in the early primates, Prog. Psychobiol. Physiol. Psychol. 7: 1-53. Arrese, C., 2002, Pupillary mobility in four species of marsupials with differing lifestyles, J. Zool. (Lond). 256: 191-197. Beard, K. C., Krishtalka, L., and Stucky, R. K., 1991, First skulls of the Early Eocene primate Shoshonius cooperi and the anthropoid-tarsier dichotomy, Nature 349: 64-67. Bloomfield, S. A., and Dacheux, R. F., 2001, Rod vision: Pathways and processing in the mammalian retina, Prog. Ret. Eye Res. 20: 351-384. Brown, C., 1994, Sound localization, in: Comparative Hearing in Mammals, R. R. Fay and A. N. Popper, eds., Springer-Verlag, New York, pp. 57-96. Cartmill, M., 1970, The Orbits of Arboreal Mammals: A Reassessment of the Arboreal Theory of Primate Evolution, Unpublished Ph.D. dissertation, University of Chicago, Chicago, IL. Cartmill, M., 1972, Arboreal adaptations and the origin of the Order Primates, in: The Functional and Evolutionary Biology of Primates, R. Tuttle, ed.,. Aldine, Chicago, pp. 97-122. Cartmill, M., 1974, Rethinking primate origins, Science 184: 436-443. Cartmill, M., 1980, Morphology, function and evolution of the anthropoid postorbital septum, in: Evolutionary Biology of the New World Monkeys and Continental Drift, R. L. Ciochon and A. B. Chiarelli, eds., Plenum Press, New York, pp. 243-274. Cartmill, M., 1982, Basic primatology and prosimian evolution, in: Fifty Years of Physical Anthropology in North America, F. Spencer, ed.,. Academic Press, New York, pp. 147-186. Cartmill, M., 1992, New views on primate origins, Evol. Anthropol. 3: 105-111. Charles-Dominique, P., 1975, Nocturnality and diurnality: An ecological interpretation of these two modes of life by an analysis of the higher vertebrate fauna in tropical forest ecosystems, in: Phylogeny of the Primates: A Multidisciplinary Approach, W. P. Luckett and F. S. Szalay,eds., Plenum Press, New York, pp. 69-88. Charles-Dominique, P., and Martin, R. D., 1970, Evolution of lorises and lemurs, Nature 227: 257-260. Coleman, M.N. & Ross, C. F. 2004 Primate auditory diversity and its influence on hearing perfomance. Anat. Rec 281A, 1123-1137. Crompton, R. H., 1995, "Visual predation," habitat structure, and the ancestral primate niche, in: Creatures of the Dark: The NocturnalProsimians, L. Alterman, G. A. Doyle, and M. K. Izard,eds., Plenum Press, New York, pp. 11-30. Vision, S. N. Archer, M. B. A. Djamgoz, E. R. Loew, J. C. Partridge, and S. Vallerga, eds., Kluwer Academic Publishers, Dordrecht, pp. 329-382. Elliot Smith, G. E., 1924, The Evolution of Man, Oxford University Press, London and New York. Frishman, L. J., and Robson, J. G., 1999, Inner retinal signal processing: Adaptation to environmental light, in: Adaptive Mechanisms in the Ecology of Vision, S. N. Archer, M. B. A. Djamgoz, E. R. Loew, J. C. Partridge, and S. Vallerga, eds., Kluwer Academic Publishers, Dordrecht, pp. 383-412. Hall, M. I. 2005 The Roles of Function and Phylogeny in the Morphology of the Diapsid Visual system. In Anatomical sciences, vol. Ph.D. Stony Brook: Stony Brook University. Heesy, C. P. 2003 The Evolution of Orbit Orientation in Mammals and the Function of the Primate Postorbital Bar. In Interdepartmental Doctoral Program in Anthropological Sciences, vol. Ph.D. Stony Brook: Stony Brook University. Heesy, C. P., 2004, On the relationship between orbit orientation and binocular visual field overlap in mammals, Anat. Rec. 281A: 1104-1110. Heesy, C. P., and Ross, C. F., 2001, Evolution of activity patterns and chromatic vision in primates: Morphometrics, genetics and cladistics, J. Hum. Evol. 40: 111-149. Heesy, C. P., and Ross, C. F., 2004, Mosaic evolution of activity pattern, diet, and color vision in haplorhine primates, in: Anthropoid Origins: New Visions, C. F. Ross and R. F. Kay, eds., Kluwer Academic/Plenum Publishers, New York, pp. 665-698. Heffner, R. S., and Heffner, H. E., 1985, Auditory localization and visual fields in mammals, Neurosci. Abstracts 11: 547. Heffner, R. S., and Heffner, H. E., 1992, Evolution of sound localization in mammals. in: The Evolutionary Biology of Hearing, D. B. Webster, R. R. Fay, and A. N. Popper, eds., Springer-Verlag, New York, pp. 691-715. Hendrickson, A. E., Djajadi, H. R., Nakamura, L., Possin, D. E., and Sajuthi, D., 2000, Nocturnal tarsier retina has both short and long/medium-wavelength cones in an unusual topography, J. Comp. Neurol. 424: 718-730. Hughes, A., 1977, the topography of vision in mammals of contrasting life style: Comparative optics and retinal organization, in: The Visual System in Vertebrates, F. Crescitelli, ed., Springer-Verlag, Berlin, pp. 613-756. Kay, R. F., and Cartmill, M., 1977, Cranial morphology and adaptations of Palaechthon nacimienti and other Paromomyidae (Plesiadapoidea,? Primates), with a description of a new genus and species, J. Hum.Evol. 6: 19-35. Kay, R. F., and Kirk, E. C., 2000, Osteological evidence for the evolution of activity pattern and visual acuity, Am. J. Phys. Anthropol. 113: 235-262. Kirk, E. C. 2004 Comparative morphology of the eye in primates. Anatomical Record A281A, 1095-1103. Land, M. F., 1981, Optics and vision in invertebrates. In: H. Autrum, ed. Comparative physiology and evolution of vision in invertebrates. B: Invertebrate visual centers and behavior I. Handbook of sensory physiology VII/6B, Springer Verlag, New York, pp. 471-592. Land, M. F., and Nilsson, D. E., 2002, Animal Eyes, Oxford University Press, Oxford. Le Gros Clark, W. E., 1959, The Antecedents of Man, Harper, New York. Li, W. H., 2000, Genetic systems of color vision in primates, Am. J. Phys. Anthropol. 30 (Suppl. ): 318. Lythgoe, J. N., 1979, The Ecology of Vision, Clarendon Press, Oxford. Martin, R. D., 1990, Primate Origins and Evolution: A Phylogenetic Reconstruction, Princeton University Press, Princeton, New Jersey. Martin, G. R., 1990, Birds by Night, T & A.D. Poyser, London. Martin, G. R., 1999, Optical structure and visual fields in birds: Their relationship with foraging behaviour and ecology, in: Adaptive Mechanisms in the Ecology of Vision, S. N. Archer, M. B. A. Djamgoz, E. R. Loew, J. C. Partridge, and S. Vallerga, eds., Kluwer Academic Publishers, Dordrecht, pp. 485-508. Martin, R. D., 1973, Comparative anatomy and primate systematics, Symp. Zool. Soc. Lond. 33: 301-337. Martin, R. D., 1979, Phylogenetic aspects of prosimian behavior, in: The Study of Prosimian Behavior, ( ed. G. A. Doyle & R. D. Martin) pp. 45-78. New York: Academic Press. Ni, X., Wang, Y., Hu, Y., and Li, C., 2004, A euprimate skull from the early Eocene of China, Nature 427: 65-68. Niemitz, C., 1985, Can a primate be an owl? Convergences in the same ecological niche, in: Functional Morphology in Vertebrates. Proceedings of the 1st International Symposium on Vertebrate Morphology, Giessen, 1983, H.-R. Duncker and G. Fleischer, eds., Gustav Fischer Verlag, Stuttgart, pp. 667-670. Ogden, T. E., 1974, The morphology of retinal neurones of the owl monkey Aotes, J. Comp. Neurol. 153: 399-428. Pettigrew, J. D., 1978, Comparison of the retinotopic organization of the visual wulst in nocturnal and diurnal raptors, with a note on the evolution of frontal vision, in: Frontiers of Visual Science, S. J. Cool and E. L. Smith, eds., Springer-Verlag, New York, pp. 328-335. Pettigrew, J. D., 1986, Evolution of binocular vision, in: Evolution of the Eye and Visual System, J. R. Cronly-Dillon and R. L. Gregory, eds., Macmillan Press, New York, pp. 271-283. Polyak, S., 1957, The Vertebrate Visual System, University of Chicago Press, Chicago. Rasmussen, D. T., and Simons, E. L., 1992, Paleobiology of the oligopithecines, the earliest known anthropoid primates, Int. J. Primatol. 13(5): 477-508. Ravosa, M. J., and Savakova, D. G., 2004, Euprimate origins: The eyes have it, J. Hum. Evol. 46: 355-362. Ritland, S., 1982, The Allometry of the Vertebrate Eye, Unpublished Ph.D. dissertation, Department of Biology, University of Chicago, Chicago. Rohen, J. W., and Castenholz, A., 1967, Über die Zentralisation der Retina bei Primaten, Folia Primatol. 5: 92-147. Rose, K. D., MacPhee, R. D. E., and Alexander, J. P., 1999, Skull of early Eocene Cantius abditus (Primates: Adapiformes) and its phylogenetic implications, with a reevaluation of "Hesperolemur" actius, Am. J. Phys. Anthropol. 109: 523-539. Ross, C. F., 1995, Allometric and functional influences on primate orbit orientation and the origins of the Anthropoidea, J. Hum. Evol. 29: 201-227. Ross, C. F., 2000, Into the light: The origin of Anthropoidea, Annu. Rev. Anthropol. 29: 147-194. Ross, C. F., 2004, The tarsier fovea: Functionless vestige or nocturnal adaptation? in: Anthropoid Origins: New Visions, C. F. Ross and R. F. Kay, eds., Kluwer Academic/ Plenum Publishers, New York, pp. 437-577. Sussman, R. W., 1995, How primates invented the rainforest and vice versa, in: Creatures of the Dark: The Nocturnal Prosimians, L. Alterman, G. A. Doyle, and M. K. Izard, eds., Plenum Press, New York, pp. 1-10. Tan, Y., and Li, W.-H., 1999, Trichromatic vision in prosimians, Nature 402: 36. 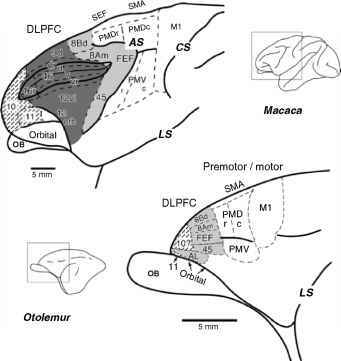 Tetreault, N., Hakeem, H., and Allman, J., 2004, The distribution and size of retinal ganglion cells in Cheirogaleus medius and Tarsius syrichta: Implications for the evolution of sensory systems in Primates, in: Anthropoid Origins: New Visions, C. F. Ross and R. F. Kay, eds., Kluwer Academic/Plenum Publishers, New York. Walker, A. C., 1967, Patterns of extinction among the subfossil Madagascan lemuroids, in: Pleistocene Extinctions. The Search for a Cause, P. S. Martin and H. E. Wright, eds., Yale University Press, New Haven, pp. 425-432. Walls, G. L., 1942, The Vertebrate Eye and Its Adaptive Radiation, Hafner, New York. Wood Jones. F., 1916, Arboreal Man, Arnold, London.